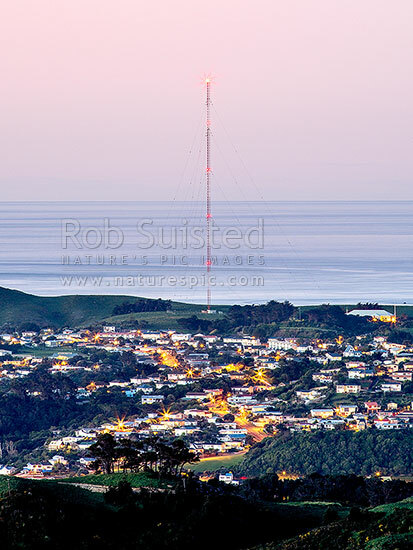 The Titahi Bay Transmitter, NZ's second tallest structure, transmits AM radio signals from a 212-metre tall radio mast. Houses of Titahi Bay and Onepoto below. Whitirea Park, Titahi Bay, Porirua City District, Wellington Region, New Zealand (NZ), stock photo.